A is correct. 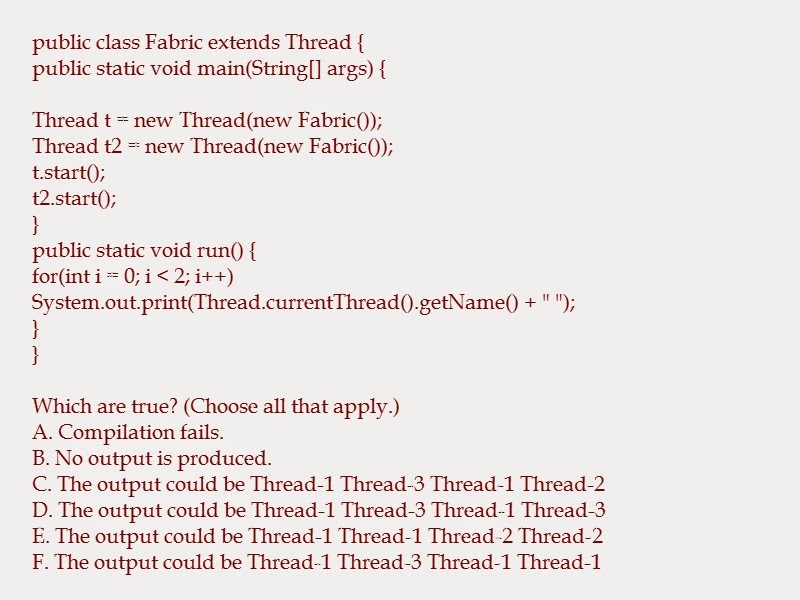 Fabric does not correctly extend Thread because the run() method cannot be static. If run() was correctly implemented, then D, E, and F would have been correct. Thread names do NOT have to be sequentially assigned.